1.1 The Association shall be known at the Association of Teachers of Home Economics in Ireland. 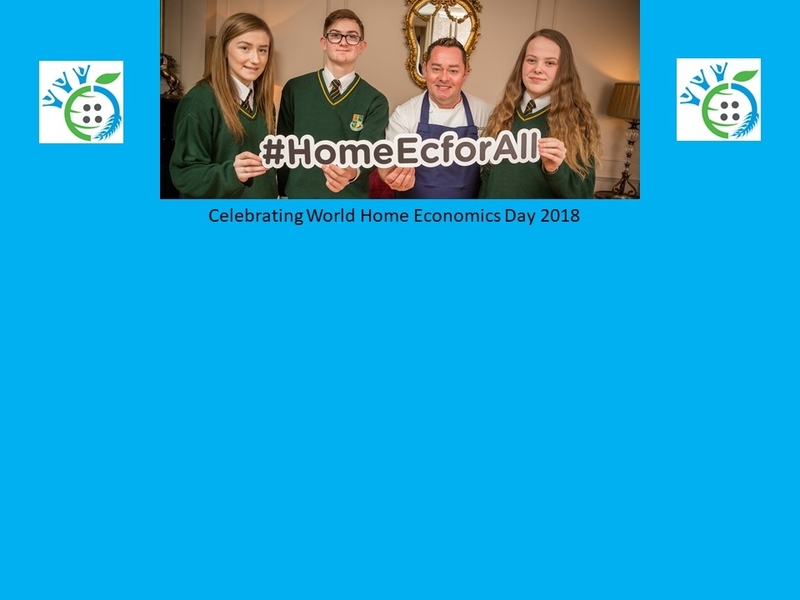 2.1 To provide a medium of expression for the collective opinions of members on matters affecting Home Economics and to promote Home Economics in Education and Society. 3.1 There shall be five categories of membership. 3.2 Ordinary membership shall be open to all persons who hold a teaching qualification in Home Economics or who hold a full time teaching post in a College of Education for Home Economics. 3.3 Retired membership shall be open to all persons who hold a teaching qualification in Home Economics and have reached pensionable retirement. 3.4 Life membership may be granted to members of the Association for outstanding service to Home Economics. The Central Executive Committee may make such a recommendation. The recommendation shall be put to a vote at the Annual General meeting and carried by a simple majority. 3.5 Honorary membership may be granted to non-members of the Association for outstanding service to Home Economics. The Central Executive Committee may make such a recommendation. The recommendation shall be put to a vote at the Spring Meeting to confer it at the Annual General Meeting and carried be simple majority. Honorary members shall not have voting rights. 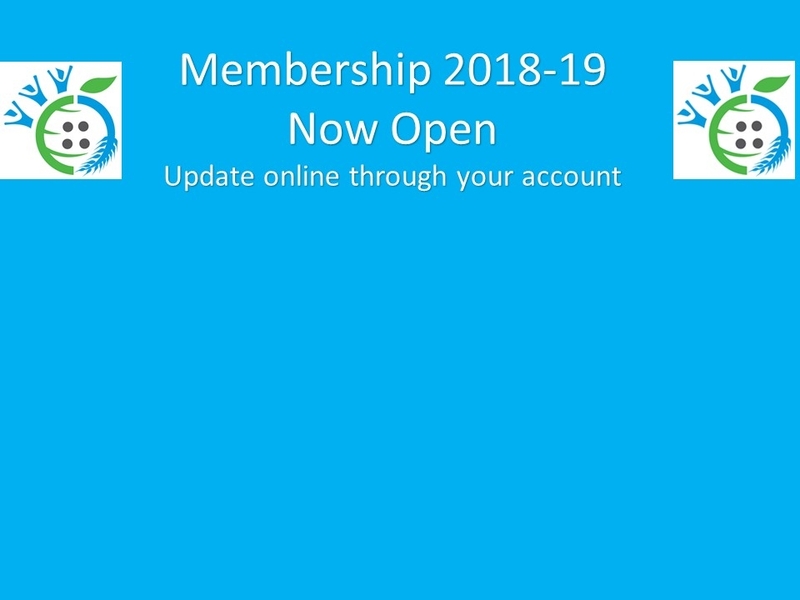 3.6 Student membership shall be open to all those who are registered at recognised courses which will eventually qualify them for ordinary membership of the Association. Student members shall not have voting rights. They shall not be eligible to hold office at Branch or Central Executive Committee level. 3.7 Ordinary membership, retired membership and student membership shall be by application. An annual subscription shall be payable. The subscription for retired membership shall be half that of the ordinary membership. Student membership shall be free. The amount of the annual subscription shall be reviewed and determined at the Annual General Meeting. 4.2 The C.E.C. shall consist of the President and Vice President of the Association, a representative from each Branch and one co-opted member from St Angela’s College Sligo. A member of the out-going C.E.C. may be co-opted by the incoming committee to ensure continuity. This co-opted member may remain on the C.E.C. until the next general meeting. 4.3 Branches may be formed, suspended, or dissolved with the approval of the C.E.C. of the association in accordance with the rules for operation of Branches. Members of the Association may belong to a Branch of their choice. 4.4 From among the members of each Branch, two Branch representatives shall be elected. 4.5 CEC shall have the responsibility of deciding affiliation to other appropriate association/s. 5.1 The President and Vice- President of the Association shall be elected on a national vote. 5.2 The C.E.C. shall, at its first meeting, elect the officers i.e. and Honorary Secretary, an Honorary Treasurer and Public Relations Officer. 5.3 Each Branch shall elect their Representatives from its own Branch for a term of 1 year. At least one Representative must attend each CEC meeting. 5.4 The term of office of the President of the Association shall be the term of office of the C.E.C. Having held office for two consecutive terms s/he shall not be eligible for election as President for at least two years. 5.5 The term of office of the C.E.C. shall be two years with the exception of the Branch Representatives which shall be one year, at the end of which period each of its members shall be eligible for re-election. 5.6 The term of office for C.E.C. officers is two years. A member of the C.E.C. may hold office for three terms (6 years) but may not hold any one office for more than two consecutive terms (4 years). The only office for which a member shall be eligible, who has served three terms (6 consecutive years) on C.E.C. is that of President of the Association. 5.7 The term of office for Branch Representatives is one year and Representatives to C.E.C. shall be two years. No Officer shall be eligible for election to any office for a period of two years after s/he shall have served three consecutive terms (3 years for Branch Representative and 6 years for CEC officers). 6.1 The President shall be responsible for the Agenda and the chairing of the Annual General Meeting, C.E.C. meetings and any other General Meetings of the Association. 6.2 The President shall represent the Association and is authorised to make public statements on behalf of and in Keeping with the aims of the Association. When necessary the President may delegate representation of the Association to a member of the C.E.C. 6.3 The Vice-President shall fulfil the functions of the President in her/his absence. 6.4 The Honorary Secretary of the C.E.C. shall circulate Agendas and record Minutes of the Annual General meetings, C.E.C. meetings and other General Meetings of the Association, keep a list of the Branches of the Association and their members and notify members of any other relevant meetings of the Association. 6.5 The Honorary Treasurer of the C.E.C. shall administer and keep a record of all income and expenditure of the Association, present a full statement of accounts at the annual General Meeting and submit the books for audit at the end of the term of office of the C.E.C. 6.6 The Public Relations Officer shall promote the aims of the Association and may issue statements in behalf of the Association with prior approval of the President. 6.7 The Branch Representatives shall be responsible for the Agenda and the chairing of Branch meetings. 6.8 The Branch Representatives shall notify members of meetings, circulate Agendas, record minutes of Branch Meetings, keep a list of Branch members and forward an Annual Report of Branch activities to the Honorary Secretary of the C.E.C. to be presented at the Annual General Meeting. 6.9 The Branch Representatives shall administer and keep a record of all income and expenditure of the Branch, present a statement of accounts annually and forward to the Honorary Treasurer of the C.E.C. a list of paid up members, together with the membership fees. 7.1 Should the position of President become vacant before the completion of her/his term of office, the officer shall then be filled by the Vice-President until the current term of office of the C.E.C. is completed. 7.3 Vacancies on the C.E.C. shall be filled either by an elected representative from the Branch or a co-opted member from the College of Education where the vacancy occurs. 7.4 Vacancies among Branch Representatives shall be filled as soon as possible from its members according to 5.3 of the constitution. 7.5 Any member of the C.E.C. absenting her/himself from three C.E.C. meetings without an explanation shall be deemed to have vacated her/his place on the C.E.C. Notification of this shall be given in writing to the Branch or College concerned. Vacancies occurring in this way shall be filled according to 7.3 of the constitution. 8.1 The C.E.C. shall be entrusted with the general administration of the Association. 8.2 The C.E.C. shall convene the Annual General meeting. 8.3 There shall be at least four C.E.C. meetings each year and others at such times as the President may decide and of which each member shall normally receive two week’s notice. 8.4 A quorum shall consist of half plus one of the membership of the C.E.C. 8.5 The C.E.C. shall have power to appoint sub-committees for such purposes and with such terms of reference as the C.E.C. shall deem fit. 9.1 Each Branch shall hold at least two meetings each year in conjunction with the CEC and others at such times as the Branch Representatives shall decide and of which each member shall normally receive two weeks’ notice. 9.2 Each Branch shall hold a Meeting before the Annual General Meeting of the Association, allowing sufficient time to forward Reports and/or Resolutions to C.E.C. 9.3 The election of Branch Representatives shall take place at the first Meeting of the Branch. 10.1 The Annual General Meeting of the Association shall normally be held in October. The C.E.C. shall have the power to call a General meeting when necessary to deal with very urgent matters, which may arise subsequent to the Annual General meeting. 10.2 The C.E.C. shall make all necessary arrangements for General Meetings. It shall have power to bring before a General meeting all business, which it considers urgent. 10.3 Any member wishing to propose an amendment to the Constitution may do so at the Annual General meeting. Notice of such amendment shall be given in writing to the Honorary Secretary of the C.E.C. at least eight weeks before the date of the Annual General Meeting. Amendments sent in under this rule shall be circulated to the members together with the name and Branch of the respective proposer and seconder at least two weeks before the Annual General Meeting. Votes on such amendments shall be carried only by two-thirds majority of those present and voting. The date of implementation of amendments carried shall be decided at the Annual General Meeting. 10.4 Any member at the Annual General meeting of at a General Meeting will be carried out by a show of hands or a secret ballot. The method of voting shall be determined by a show of hands. 11.1 The Association shall be financed by the members’ annual subscriptions. 11.2 The funds of the Association shall be used for the promotion of Home Economics and these shall be deposited in a reliable financial institution to be determined by the President and treasurer in consultation with C.E.C. 12.1 The Association shall be dissolved with the consent of five-sixths of the members. 12.2 Office equipment and other property shall be disposed of at current market value. 12.3 The President and the Treasurer of the Association shall be responsible for donating all surplus funds. Including that realised from the sale of property, to a charitable organisation as decided by the C.E.C. Constitution of the Association of Teachers of Home Economics in Ireland 1.0 Name. 1.1 The Association shall be known at the Association of Teachers of Home Economics in Ireland. 2.0 Aims. 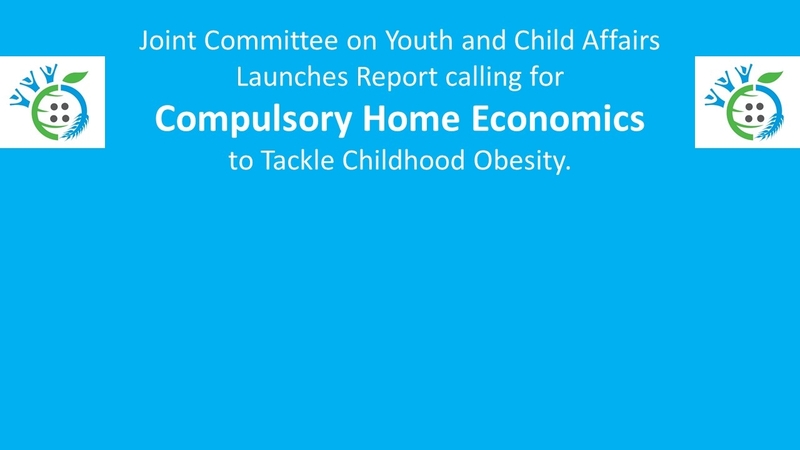 2.1 To provide a medium of expression for the collective opinions of members on matters affecting Home Economics and to promote Home Economics in Education and Society. 3.0 Membership. 3.1 There shall be five categories of membership. 3.2 Ordinary membership shall be open to all persons who hold a teaching qualification in Home Economics or who hold a full time teaching post in a College of Education for Home Economics. 3.3 Retired membership shall be open to all persons who hold a teaching qualification in Home Economics and have reached pensionable retirement. 3.4 Life membership may be granted to members of the Association for outstanding service to Home Economics. The Central Executive Committee may make such a recommendation. The recommendation shall be put to a vote at the Annual General meeting and carried by a simple majority. 3.5 Honorary membership may be granted to non-members of the Association for outstanding service to Home Economics. The Central Executive Committee may make such a recommendation. The recommendation shall be put to a vote at the Spring Meeting to confer it at the Annual General Meeting and carried be simple majority. Honorary members shall not have voting rights. 3.6 Student membership shall be open to all those who are registered at recognised courses which will eventually qualify them for ordinary membership of the Association. Student members shall not have voting rights. They shall not be eligible to hold office at Branch or Central Executive Committee level. 3.7 Ordinary membership, retired membership and student membership shall be by application. An annual subscription shall be payable. The subscription for retired membership shall be half that of the ordinary membership. Student membership shall be free. The amount of the annual subscription shall be reviewed and determined at the Annual General Meeting. 4.0 Structure 4.1 The Association shall consist of Branches distributed throughout the country and a “Central Executive Committee”. (The Central Executive Committee shall be referred to as the C.E.C. throughout this document.) 4.2 The C.E.C. shall consist of the President and Vice President of the Association, a representative from each Branch and one co-opted member from St Angela’s College Sligo. A member of the out-going C.E.C. may be co-opted by the incoming committee to ensure continuity. This co-opted member may remain on the C.E.C. until the next general meeting. 4.3 Branches may be formed, suspended, or dissolved with the approval of the C.E.C. of the association in accordance with the rules for operation of Branches. Members of the Association may belong to a Branch of their choice. 4.4 From among the members of each Branch, two Branch representatives shall be elected. 4.5 CEC shall have the responsibility of deciding affiliation to other appropriate association/s. 5.0 Government of the Association 5.1 The President and Vice- President of the Association shall be elected on a national vote. 5.2 The C.E.C. shall, at its first meeting, elect the officers i.e. and Honorary Secretary, an Honorary Treasurer and Public Relations Officer. 5.3 Each Branch shall elect their Representatives from its own Branch for a term of 1 year. At least one Representative must attend each CEC meeting. 5.4 The term of office of the President of the Association shall be the term of office of the C.E.C. Having held office for two consecutive terms s/he shall not be eligible for election as President for at least two years. 5.5 The term of office of the C.E.C. shall be two years with the exception of the Branch Representatives which shall be one year, at the end of which period each of its members shall be eligible for re-election. 5.6 The term of office for C.E.C. officers is two years. A member of the C.E.C. may hold office for three terms (6 years) but may not hold any one office for more than two consecutive terms (4 years). The only office for which a member shall be eligible, who has served three terms (6 consecutive years) on C.E.C. is that of President of the Association. 5.7 The term of office for Branch Representatives is one year and Representatives to C.E.C. shall be two years. No Officer shall be eligible for election to any office for a period of two years after s/he shall have served three consecutive terms (3 years for Branch Representative and 6 years for CEC officers). 6.0 Functions of Officers 6.1 The President shall be responsible for the Agenda and the chairing of the Annual General Meeting, C.E.C. meetings and any other General Meetings of the Association. 6.2 The President shall represent the Association and is authorised to make public statements on behalf of and in Keeping with the aims of the Association. When necessary the President may delegate representation of the Association to a member of the C.E.C. 6.3 The Vice-President shall fulfil the functions of the President in her/his absence. 6.4 The Honorary Secretary of the C.E.C. shall circulate Agendas and record Minutes of the Annual General meetings, C.E.C. meetings and other General Meetings of the Association, keep a list of the Branches of the Association and their members and notify members of any other relevant meetings of the Association. 6.5 The Honorary Treasurer of the C.E.C. shall administer and keep a record of all income and expenditure of the Association, present a full statement of accounts at the annual General Meeting and submit the books for audit at the end of the term of office of the C.E.C. 6.6 The Public Relations Officer shall promote the aims of the Association and may issue statements in behalf of the Association with prior approval of the President. 6.7 The Branch Representatives shall be responsible for the Agenda and the chairing of Branch meetings. 6.8 The Branch Representatives shall notify members of meetings, circulate Agendas, record minutes of Branch Meetings, keep a list of Branch members and forward an Annual Report of Branch activities to the Honorary Secretary of the C.E.C. to be presented at the Annual General Meeting. 6.9 The Branch Representatives shall administer and keep a record of all income and expenditure of the Branch, present a statement of accounts annually and forward to the Honorary Treasurer of the C.E.C. a list of paid up members, together with the membership fees. 7.0 Resignations/Replacements 7.1 Should the position of President become vacant before the completion of her/his term of office, the officer shall then be filled by the Vice-President until the current term of office of the C.E.C. is completed. 7.2 Should the President be adjudged by a two-thirds majority vote of the C.E.C. to have failed to fulfil her/his duties, the Vice-President shall be empowered to call for the resignation of the President and to relieve her/him of the office. The office of the Vice- President will remain vacant until the current term of office of the C.E.C. is completed 7.3 Vacancies on the C.E.C. shall be filled either by an elected representative from the Branch or a co-opted member from the College of Education where the vacancy occurs. 7.4 Vacancies among Branch Representatives shall be filled as soon as possible from its members according to 5.3 of the constitution. 7.5 Any member of the C.E.C. absenting her/himself from three C.E.C. meetings without an explanation shall be deemed to have vacated her/his place on the C.E.C. Notification of this shall be given in writing to the Branch or College concerned. Vacancies occurring in this way shall be filled according to 7.3 of the constitution. 8.0 Operations/Functions of C.E.C. 8.1 The C.E.C. shall be entrusted with the general administration of the Association. 8.2 The C.E.C. shall convene the Annual General meeting. 8.3 There shall be at least four C.E.C. meetings each year and others at such times as the President may decide and of which each member shall normally receive two week’s notice. 8.4 A quorum shall consist of half plus one of the membership of the C.E.C. 8.5 The C.E.C. shall have power to appoint sub-committees for such purposes and with such terms of reference as the C.E.C. shall deem fit. 9.0 Operations/Functions of Branches 9.1 Each Branch shall hold at least two meetings each year in conjunction with the CEC and others at such times as the Branch Representatives shall decide and of which each member shall normally receive two weeks’ notice. 9.2 Each Branch shall hold a Meeting before the Annual General Meeting of the Association, allowing sufficient time to forward Reports and/or Resolutions to C.E.C. 9.3 The election of Branch Representatives shall take place at the first Meeting of the Branch. 9.4 Branch’s shall operate in accordance with Association aims and may make public statements only through the office of the President (c.f. 6.2) 10.0 General Meetings 10.1 The Annual General Meeting of the Association shall normally be held in October. The C.E.C. shall have the power to call a General meeting when necessary to deal with very urgent matters, which may arise subsequent to the Annual General meeting. 10.2 The C.E.C. shall make all necessary arrangements for General Meetings. It shall have power to bring before a General meeting all business, which it considers urgent. 10.3 Any member wishing to propose an amendment to the Constitution may do so at the Annual General meeting. Notice of such amendment shall be given in writing to the Honorary Secretary of the C.E.C. at least eight weeks before the date of the Annual General Meeting. Amendments sent in under this rule shall be circulated to the members together with the name and Branch of the respective proposer and seconder at least two weeks before the Annual General Meeting. Votes on such amendments shall be carried only by two-thirds majority of those present and voting. The date of implementation of amendments carried shall be decided at the Annual General Meeting. 10.4 Any member at the Annual General meeting of at a General Meeting will be carried out by a show of hands or a secret ballot. The method of voting shall be determined by a show of hands. 11.0 Finance 11.1 The Association shall be financed by the members’ annual subscriptions. 11.2 The funds of the Association shall be used for the promotion of Home Economics and these shall be deposited in a reliable financial institution to be determined by the President and treasurer in consultation with C.E.C. 12.0 Dissolution 12.1 The Association shall be dissolved with the consent of five-sixths of the members. 12.2 Office equipment and other property shall be disposed of at current market value. 12.3 The President and the Treasurer of the Association shall be responsible for donating all surplus funds. Including that realised from the sale of property, to a charitable organisation as decided by the C.E.C.